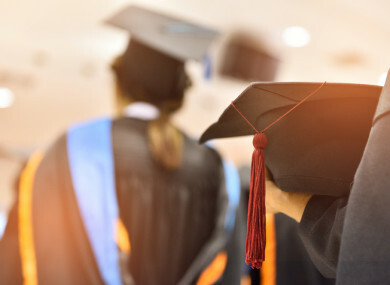 THE DEPARTMENT OF Education has announced €6 million worth of funding to assist people from different groups that are underrepresented in higher education. The 1916 Bursary Fund will allocate students €5,000 per year over the next three years, coming to a total of €6 million. The bursary will be allocated first to 200 students for the current 2017/2018 academic year, in a number of different universities and colleges across the country. The qualify for the bursary, a person needs to be from one of a number of target groups. No matter what target group a student is from, they need to be socio-economically disadvantaged in order to be eligible. All recipients of the grants will be need to be socio-economically disadvantaged in order to qualify for the payment. Students can apply for the grants if they are currently in higher education or if they are entering for the first time. Student in receipt of a Susi maintenance grant will be able to add this on top. The Education Department also today announced the areas in which the grants will be allocated and the number of grants per area for the 2017/2019 academic year. These will be spread across higher education institutions across the country. A total of 40 bursaries (out of 200) have been awarded to lone parents for the current academic year. The bursary will be payable to each year of study that the student is in higher education. The €6 million funding will be for the next three years, before it is looked at again. The funding is being allocated under the National Plan for Equity of Access to Higher Education 2015-2019, and is part of the Programme for Access to Higher Education (Path) Fund. Previously, a total of €2.7 million was announced under Path to help train teachers from specific target groups. “If we want our education system to be the best, it must be as inclusive as possible,” said Education minister Richard Bruton. “This funding is one of a range of measures we are taking to ensure that this is the case. I’m particularly happy that we are supporting people from disadvantaged backgrounds to become teachers, thus becoming role models for the rest of their community. Email “Are you a lone parent? If so, you might be eligible for a €5,000 per year higher education bursary”. Feedback on “Are you a lone parent? If so, you might be eligible for a €5,000 per year higher education bursary”.